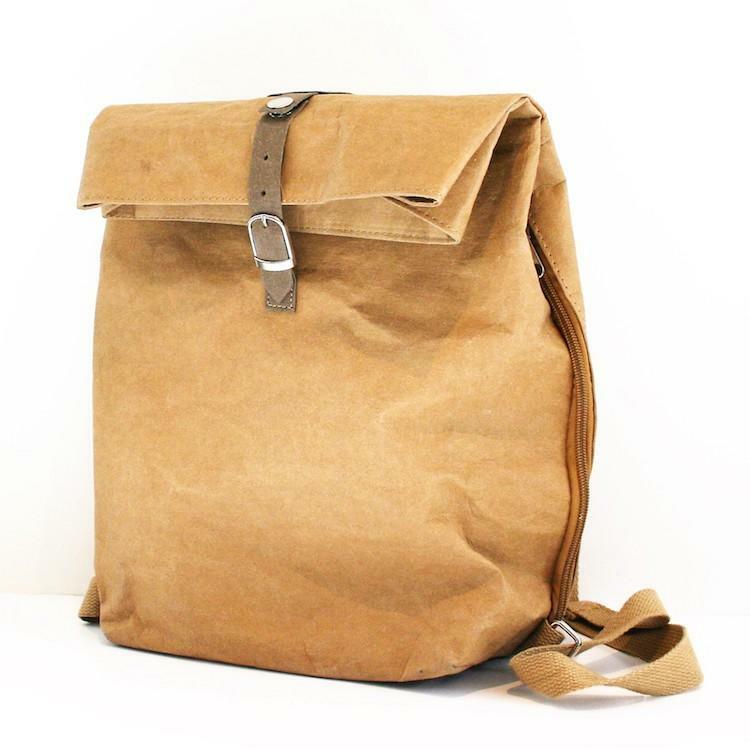 A stylish, ethically sourced and vegan-friendly backpack with a contemporary brown paper bag finish. 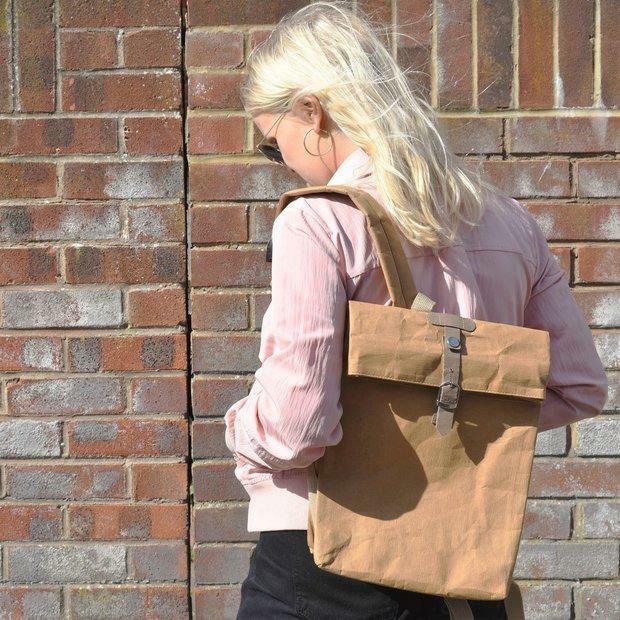 The rucksack grows old gracefully, gaining a patina like leather with everyday use . 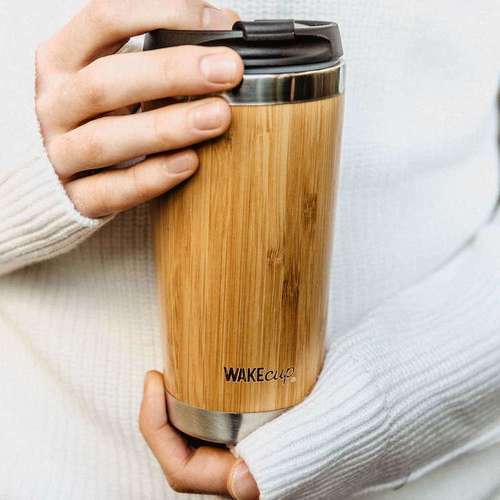 It’s practical, 100% waterproof, washable and is a good size to fit a laptop and water bottle, coffee cup and lunch. 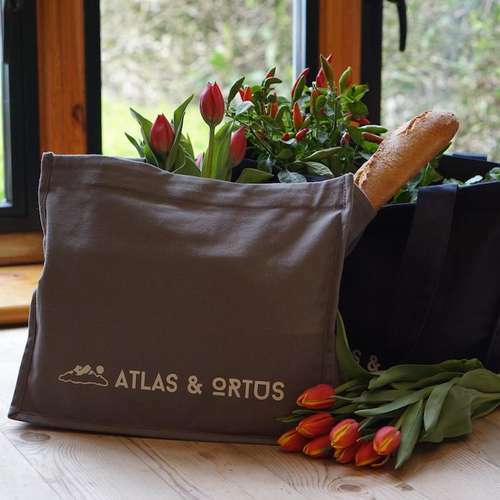 Inside the bag are two compartments, including a laptop pouch with velcro tab, it also has a 'secret' pocket to keep your valuables safely hidden. You can open the rucksack using either the old school buckle, or for speed there is a popper. 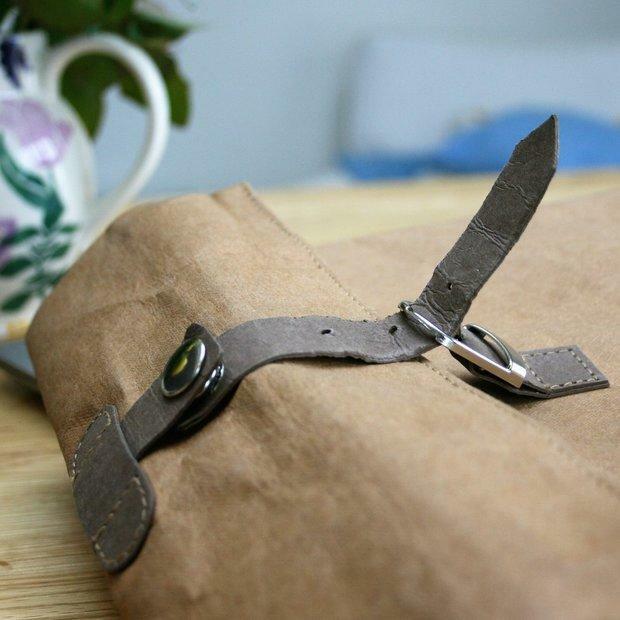 To make this bag poly paper fibres are spun and then bonded together to create the look of brown paper, but with the durability and thickness of the strongest rucksack. The cotton straps are fully adjustable and will fit children from age 7 up to adult. Dimensions - 230 x 420 x 130mm. 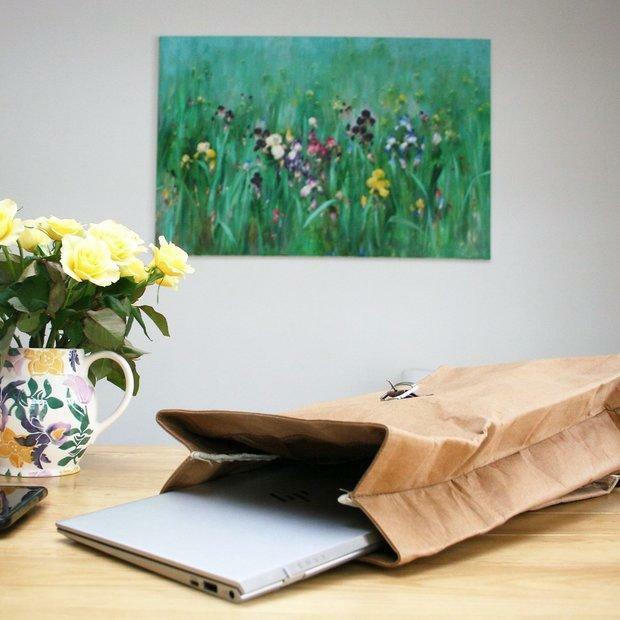 Due to the size of the parcel, the delivery for this backpack is £6.